With my review for the game still under construction, I thought I’d take this time to talk about a few updates that I’d like to see added or patched into Bungie and Activision’s hip new console MMO Destiny. To be clear without being too descriptive (yet), I am really enjoying Destiny. It took a little while to grow on me, which was unexpected considering how much I enjoyed the Alpha and Beta of the game, but once I found my stride I ended up having a great deal of fun. A lot of this has to do with the fact that my fiance and I have a set-up that allows us to play together in the same room using two TV’s and consoles, but it also has to do with the bounty system, weekly/daily events and The Crucible. Since reaching level 20 and completing the main campaign I have been “grinding” to gain light levels and cool equipment. I’m currently at light level 25 and have been able to find productive and rewarding things to do every day, taking it slow yet building up my ranks and acquiring new equipment. I’m pacing myself so as not to complete everything and put the game away after only a couple of weeks. While I may be enjoying myself so far, there are still a few things I feel that this game is missing or that should be fixed up at some point. I’m not one to tell developers how to make their games, I’d simply like to share my opinion in regards to some things I’ve noticed to be a bit of a drag. If they never make any of these changes I will still enjoy the game, but that doesn’t mean there isn’t a little room for improvement. The problem here is that certain engrams unlock items for random classes, so I may be a Titan and get a helmet for a Hunter. I can’t wear the helmet myself and I don’t have a Hunter character made who I can give it to via the storage system. My friend is a Hunter though, and the helmet is better than what he has and is the proper level but I cannot give it to him or trade with him in any way, leaving me with something I have no use for. There are plenty of scenarios in which a trade system would be beneficial, but this is the most crucial scenario I have come across, considering for me the alternative is breaking down the item I can’t use – which seems like a waste since another Guardian could make use of it. A trade or give away system is something I’d really like to see implemented into Destiny in the future. I feel that this type of system would be useful and rewarding in many ways and we could all get some extra neat gear out it at some point. The general bounty system is totally awesome, in my opinion, but it gets repetitive. It’s pretty much the same bounties recycled in every other day: 100 precision kills, random mission with heroic modifier, kill 25 Hunters in The Crucible, 6 patrol missions on Venus – rinse, repeat. It feels way more grindy than it should to complete all of these due to their repetitive nature, especially when you are doing them alone. I’d like to see more variations, maybe even more challenging bounties (no, not 10 patrol missions on the Moon as opposed to 6), so that it feels less like you are doing the same thing over and over again. Maybe adding a few new bounties in a week and taking a few old ones out and cycling them around every week would help without having to add brand new things in every day, which is a really unreasonable expectation. Right now the Queen’s Emissary is visiting the Tower from the Reef and she has brought along a new set of bounties which are more like what I am looking for in the Vanguard and Crucible bounties. Some of them are really challenging, or are at least something new to do, which makes them enjoyable. Adding things like this really does help to mix it up, but when she leaves and we are back to the vanilla Crucible and Vanguard bounties it’s going to get dull again. Ability to Change the Level of Patrol Areas and More Variation. If you play Destiny then I’m sure you know just how bland and annoying the planetary patrol missions are, especially if you do the Vanguard bounties for patrols often like me. They are all basically the same thing over and over again on every planet, you are either eliminating a target, killing X amount of enemies or collecting parts off of certain enemies. So again we come to an issue of variation. I’d like to see some new objectives added to Destiny at some point in order to spice up planetary patrol. At the very least, I’d like to have the option to adjust the level of the area so that the enemies are more challenging and drop better items. For example, going back to Earth for patrol missions is ridiculously bland since it’s a level 4 area. My current level and equipment make easy to the point of unfathomable boredom to do patrol missions there. Being able to ramp up the difficulty to say level 20 or higher would make it more fun, at least from a challenge standpoint. So those are some of my ideas for future updates or additions to Destiny. There are a few more insignificant things that I have considered such as the Guardian Outfitter in the Tower having new armor shaders at some point or more upgrades to the Sparrow (weapons, mostly) but these are the main things I’d like to see from the game. 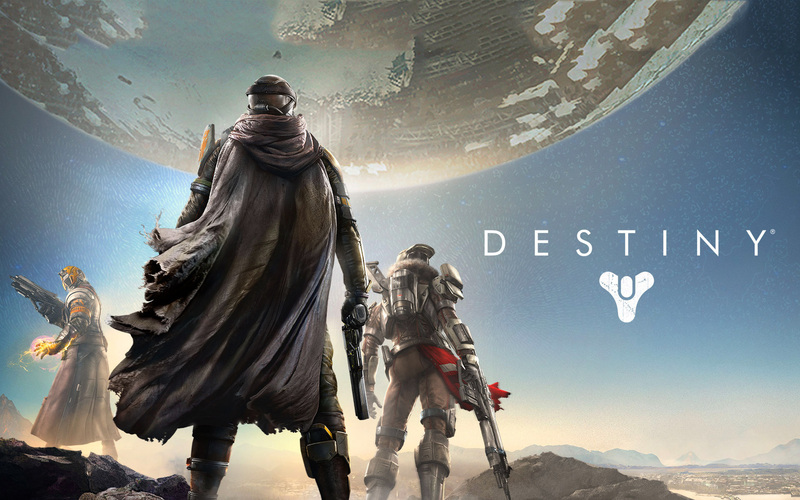 Have any additions or update ideas that you’d like to see in the upcoming days of Destiny? Let me know in the comments below! Great post. I 100% agree that there should be more variation in the Patrol mission as well as the bounties. I’m not very high in level yet (18) but I have noticed the bounties are somewhat bland, but way better than patrols. Patrol missions are horribly boring. Another thing is I would like to see some skill matching in multiplayer. They say level advantage is disabled but I get owned by higher levels with very little effort and most everyone in the Crucible is level 20+ it seems so my weapons do little damage to them, plus they have shields or something and their weapons just destroy me. Personal rant but it’d be nice to play with people a little more closer to my level. Maybe an under 20’s filter and over 20’s filter. Thank you! I agree with your point about the Crucible as well, I wasn’t really able to play it before I turned 20 due to the problems you described. Even now that I’m higher leved, I notice levels lower than 20 always end up at the bottom of the score board which is sad because I know that’s because it’s not quite fair. A matchmaking improvement there would be super cool. I mostly just want more Halo-like multiplayer playlists. I miss the crazy fun nature of Halo’s multiplayer, especially since most of Destiny is hyper-serious to the game’s own detriment. I’d like to see them shake it up a little bit with special events. The Cabal is my favorite enemy type (love headshotting them), but Mars is my least favorite planet… would love to see the Cabal invade Earth. If nothing else, add a new area only accessible to those 25 and above that has the Fallen, Hive, Vex, and Cabal waging a war. Like one of those “the enemies are moving against one another” moments on a much larger scale; some PVE stuff for high level players that doesn’t involve needing a group or playing the same strikes/raid. Also really want a co-op horde mode. Those are some really cool ideas, I’d be on board!